Nik Pramatarov is a chemical engineer graduate, who started his career as a technologist at an oil refinery. Nik later on moved to analytical chemistry and worked as manager to an environmental laboratory for 4 years. His following two appointments were 11 years as a chief engineer in charge of the operations and technological development of the sewage and drink water treatment plants in the county of Bourgas and then 3 years in the engineering trade. He joined the Alex Stewart International organization in September 1994 and set up Alex Stewart (Assayers) Bulgaria OOD, whose major business is base metals, precious metals and bulk concentrates, coal & coke, iron ore, steel scrap and steel finished products , fertilizers, blending projects, treatment and conditioning of wetted, oxidized, caked & crusted nonferrous concentrates and various other inspections. Stephen Russell has more than 21 years of experience in the minerals, metals, inspection, sampling and assaying business. After working for 15 years at Alex Stewart Assayers Ltd from junior to operations management, he succeeded to become the Company’s Commercial and Marketing Manager. More recently Stephen became the Group’s Commercial Executive where he has enjoyed success in developing wide range of new business opportunities within the metals and minerals sector by attending major conferences such as CESCO, LME and PDAC also travelling extensively to serve the mining, trading and refining market sector. Des McMillan started his career at Bootle Analytical Labs in 1985 which specialised in general analytical services to industry as a junior laboratory assistant. He moved to Central Edible Oils in 1988 as an Oil QC analyst and Inspectorate Environmental in 1991 specialising in environmental analysis. He moved to Alex Stewart in 1994 as an analytical chemist and became Chief Chemist of Alex Stewart Agriculture in 2004. 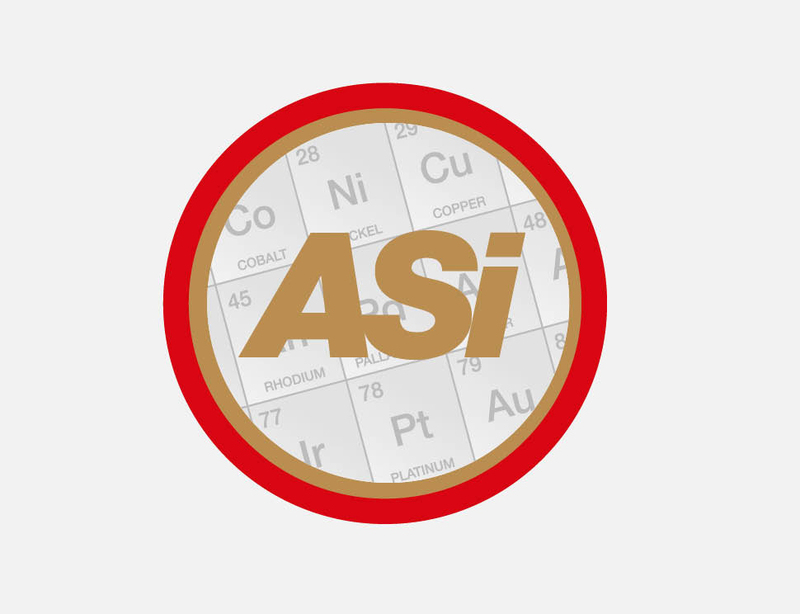 Des has been the Chief Chemist of Alex Stewart International’s HQ laboratories since 2007, the companies Quality Manager since 2011 and has also played an instrumental part in designing two modern laboratories for the ASi Group. Rick Hendricks joined Alex Stewart International in 1996 as a metals and minerals inspector covering inspections and providing representative services in the United States and Canada, and now has extensive experience with the inspection and sampling of all metals, especially precious metals. Rick is the General Manger of Alex Stewart International’s operations in the United States and together with his team; we provide inspection coverage for international and domestic clients throughout North America. Kushal Roy is a Class I Marine Engineer with 9 years sea service. Kushal is a fully qualified independent Inspector / Surveyor and has about 23 years’ experience, of which the last 20 years has been with Alex Stewart International in the field of independent Inspection, Sampling & Testing of various commodities; particularly solid fuels like coal & coke for which I have set up an integrated inspection and testing service in India. Levant Delibas: Graduated in 1984 from Computer Sciences at Bosphorus University (Istanbul). In 1986 Levent started his inspection career as a surveyor of Vitsan Gözetim A.S (Inspectorate). During a working period of 7 succesful years he advanced to the position of Assistant General Manager at Vitsan A.S. In 1993 he joined and built Alex Stewart Uluslararası Gözetim A.Ş. Levent’s experience covers metal, mineral, agriculture, liquid cargoes, marine surveys and with over 22 years knowledge, he also specializes in steel scrap inspections. This is one of the reasons Alex Stewart International is the preferred choice of inspection company in Turkey. Gonzalo is a metallurgical engineering graduate from the University of Lima who has a wide range of experience in metallurgy and mining processes. He joined Alex Stewart Assayers del Peru in 2002 and oversees inspections and sampling operations of Peruvian zinc, lead and precious metal concentrate exports and assisting the Company’s development of mining and metallurgical business. Glenn Forbes has 30 years’ experience within the industry and joined the Alex Stewart International in 1997. He originally held the position as Cargo Superintendent for dry and oil cargoes in the agricultural field, before taking over the role as Agricultural Manager for Alex Stewart Agriculture. He has been heavily involved in training and development programmes and spent considerable time in Argentina, Kazakhstan and Philippines training staff in all aspects of agriculture inspections. Glenn is a fully qualified in draft surveys, seed sampling, pest detection and agriculture and regularly participating in GAFTA, FOSFA and IFIA committees, and also lecturing for their international training courses. Vladimir Atanov: Graduated from Odessa High Marine School in 1987, qualification - ship engineer. Position: 1996 – 2002 Senior Surveyor, Manager of IPS Survey Department; 2002 - until present, Director of Ukrainian Group of Alex Stewart, overseeing all aspects of Ukrainian operations. Mr Atanov is the co-writer of highly acclaimed technical guidelines for Draft Survey book. Arild has worked for Alex Stewart Environmental Services since 1994 and has been heavily involved in all of its development and new environmental projects. Our environmental laboratories work to ISO standards and report organic and non-organic parameters to p.p.m. and ppb levels. Types of analysis include waters and bacteria in water, pollutants, heavy metals, anions, seawater; soils and sewage treatment for heavy industry; environmentally sensitive mining projects, geological research and development and also soil clean-up projects.